This occurs after I have input all my basic information in order to connect. Settings -> Bot Settings -> Basic Setup -> Input all information including keys -> Hit apply and close -> Error #75 shows and it does not save all of my information I previously put in when I go back into settings. ANy help? This seems like a permissions issue on your computer. Under the bot menu go to "View Files" and then "Open Bot Folder". 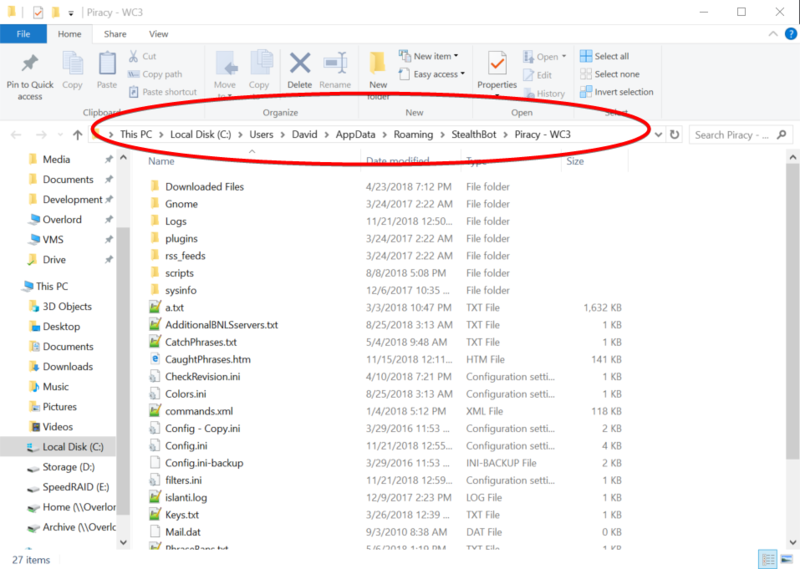 What is the path to that folder? The part circled in red.